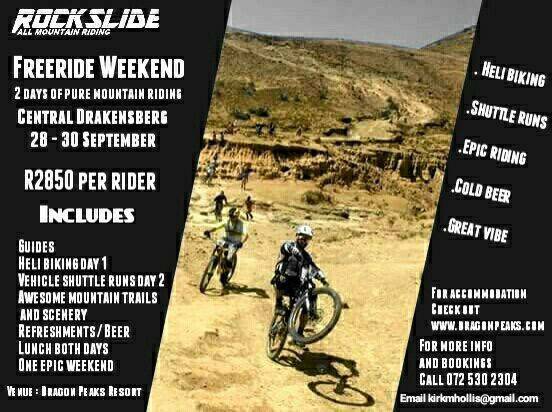 We got an epic weekend of riding coming up end of September. Based at Dragon Peaks Resort in the Central Drakensberg. 2 days of proper riding. Lunch and beer both days. Limited space so don't waste time. 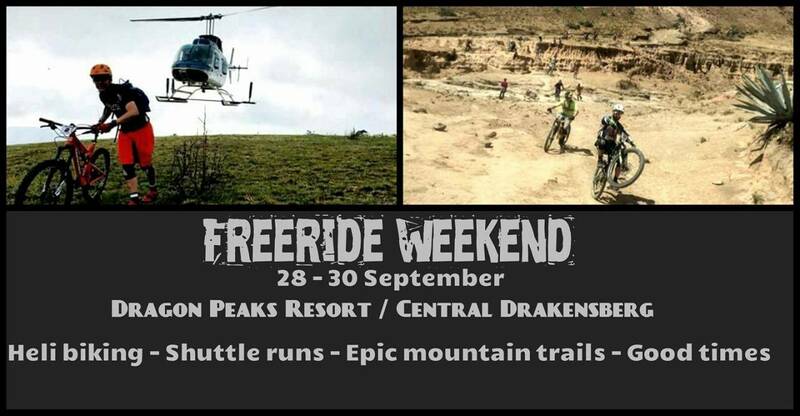 Heli Bike trip up the Drakenberg Mountain Range and descending from 2000m above sea level. Based in the Central Drakensberg. 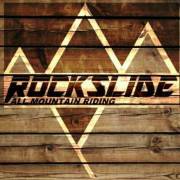 These trails provides a mix of technical rocky sections, narrow cattle paths, boulder steps and fast flowing single tracks and are some of the most exciting, challenging trails around. Providing the experienced cyclist a chance to ride in an area few have had access to.